Hi folks, and welcome to our first errata post for a game. How exciting! There are two main issues to address for our recent release, Café Romantica. Firstly, we’ve discovered a misprint in the v1.0 printing of this game. One variant of the Energetic host has a cost of 3, and the other 5 variants have a cost of 2. 3 is the correct cost for this host. This will be corrected in v1.1 printing, and any later versions! For customers who purchased v1.0, we will look into a sticker that can be applied to the existing cards. 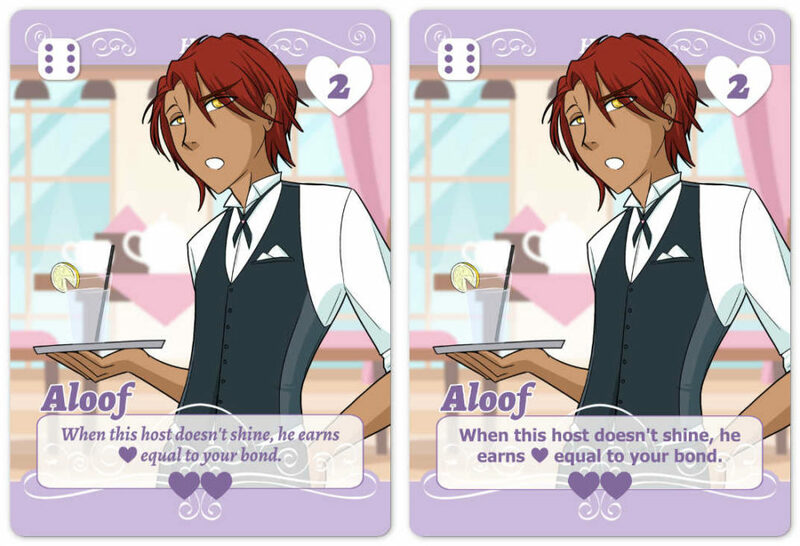 Secondly, we have learned that the italicised rules text on the cards is a likely barrier to readability for dyslexic players. We apologise to anybody who has been inconvenienced by this! We would very much like our games to be as accessible as possible, so we are revising v1.1 to use a sans-serif, non-italic font for this text.